Closeouts. 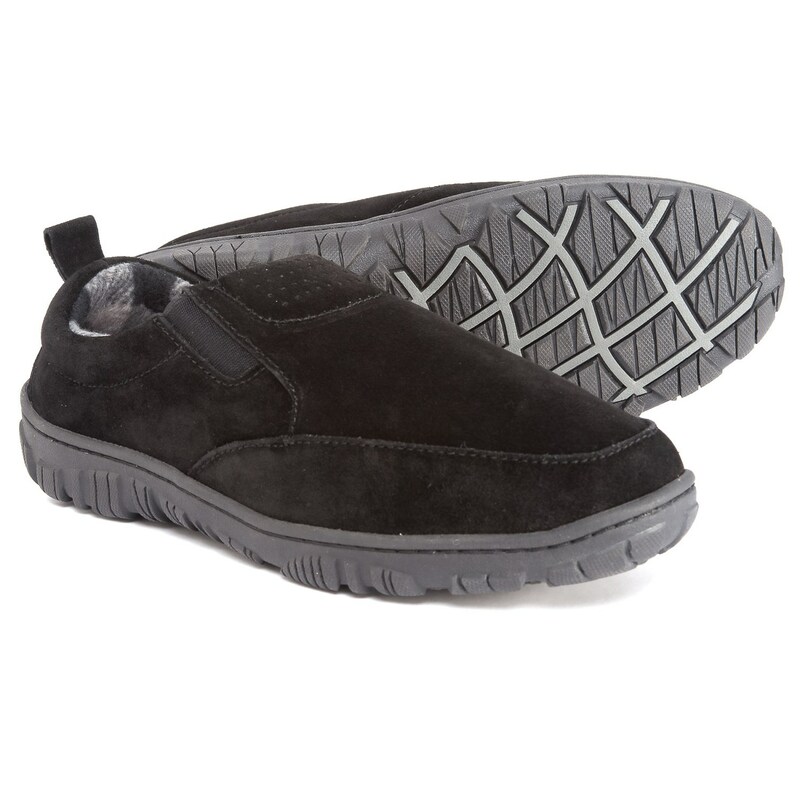 These Clarks suede slippers cradle your hardworking feet in thick, padded textile cushioning. A durable slip-resistant outsole can handle quick trips outdoors, too.